One thing every city is partially defined by is its food. If that were the only characteristic up for debate, Chicago would have to be near the top of the list when it comes to food in the United States. When you’re in between seminars at our Chicago CME conference this fall, stop in at a few of these spots and try some of the best food in Chicago. Lou Malnati’s had to be on this list. Long considered one of the best spots to get a classic, Chicago-style deep dish pizza, Malnati’s has gained a cult following. Patrons will line up out the door for a chance to taste some of this rich and gooey deep dish pizza. So what makes it so special? Each and every pizza in Lou Malnati’s kitchen is handmade from scratch. Come with a smaller party and you won’t have to wait long to snag a table and dig in. Come with an appetite because the portions are generous! 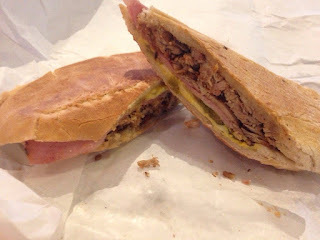 Chicago is where you go for a traditional Cubano, right? Of course it is! Cafecito Chicago is home to the #1 rated Cuban sandwich in the Windy City. That classic blend of pork, ham, Swiss cheese, pickles and mustard will warm you up and have you thinking you’re eating in Little Havana. If you’re feeling adventurous, try their Guava Q sandwich which throws barbecue sauce and caramelized onions into the mix to give the Cubano some zing. One of the great parts about Cafecito is it’s light on the wallet! Most sandwiches only set you back $7-8. Fat Johnnie’s Famous Red Hots is a must-visit spot if you love a good hotdog with some heat and character to it. Their Might Dog throws in tamales, cucumbers, cheese and chili sauce on top of some of those traditional Chicago dog flavors for a weird but delicious combination. If you’re trying to network with your colleagues, take them somewhere cozy and upscale like Bavette’s Bar and Boeuf. The unique and welcoming atmosphere makes for a comfortable conversation spot and their menu is full of French-inspired items ranging from seafood to steaks and lamb. Come ready for a hearty meal! Chicago Pizza And Oven Grinder Co. is one of the coziest spots to share a meal with friends and family. The menu items are passed down from generations and have that simple, rustic touch to them. Whatever you do, you have to order a pizza pot pie. The sauce is made from scratch with plump tomatoes and fresh herbs and vegetables, the cheese is a secret blend of several different kinds, and the dough is a triple-raised Sicilian style concoction. 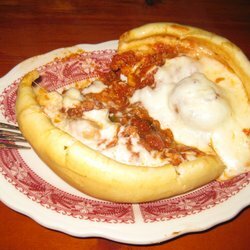 The pizza pot pie will have you looking at pizza in a completely different and delicious light. Whether you’re trying to wine and dine colleges at one of the top restaurants in Chicago or just looking for one of the best places to eat in Chicago for you and your friends to enjoy a nice night on the town, you’ll find no shortage of options. Where do you plan to go when you’re in town for our Chicago CME conference this August? Let us know in the comments below! 1. Artscape is America’s largest free arts festival, and it’s happening the very weekend we’re in Baltimore! You’ll find sculptures, dance, opera, film, music, street theater and much more at this gigantic festival in several neighborhoods around town. The festivities kick off Friday, July 17. 2. Head over to the Sports Legends Museum at Camden Yards. Located in the historic Camden Station rail house building, The Sports Legends Museum has all sorts of fun and unique exhibits your kids will love. Oriole Park is right next door in case you want to check out the beautiful field the Baltimore Orioles call home. 3. What kid doesn’t love a streetcar ride? The Baltimore Streetcar Museum has very affordable tickets for you and yours so your kids can enjoy unlimited rides of original, restored Baltimore streetcars and see all the great displays the museum has that highlight the history of the city’s transportation system. 4. Take the kids to aMuse Toys! aMuse is an independent and family-owned Baltimore business that strives to provide kids with engaging, innovative and creative toys. The kids will love you for it and they’ll walk out with a unique toy just for them. 5. All of that walking around and checking out museums is sure to get the family hungry. Take in some local cuisine by heading over to McCormick & Schmick’s for their world famous crab cakes. It’s a rite of passage for anyone visiting Baltimore and your kids will love the delectable cakes made of jumbo lump crab meat! There are plenty of things to do in Baltimore with children, ranging from great food to festivals and museums. 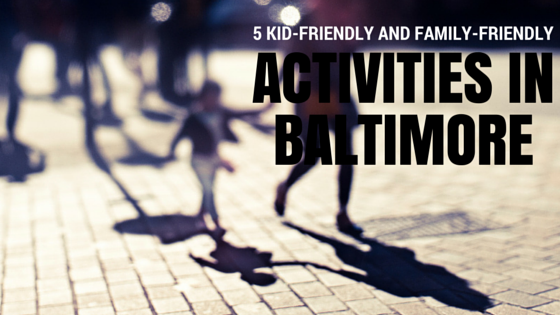 What are some family-friendly Baltimore activities you intend to do with the family? Let us know in the comments below! You’ll get hands-on experience in ER and non-ER procedures with models, pig cadavers and manikins as well as plenty of time to practice with a sonogram and ultrasound. 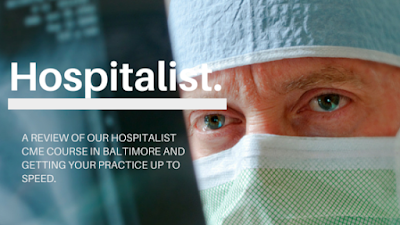 Additionally, the hospitalist CME course will cover pre-procedure evaluation and post-procedure management, giving you all the tools you need to provide excellent patient care from the beginning to the end of their hospital stay. Join us in Baltimore in just a few short weeks for our hospitalist training seminar and get your practice ready for inpatient care! Baltimore has long been a city known for its eclectic cuisine. 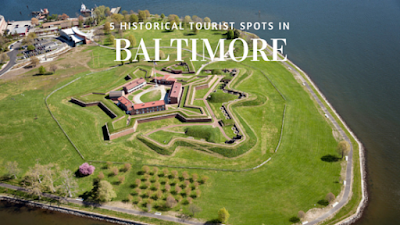 Nestled in the heart of the Mid-Atlantic region, Baltimore takes culinary cues from all of its surrounding states as well as some international flair due to its waterfront location. 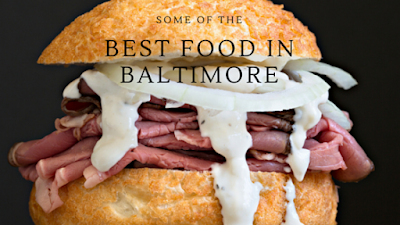 While you’re in Baltimore with us for our July CME conference, you might want to visit a few of these restaurants and see if you agree that they serve up some of the best food in Baltimore! 1. If you’re big on farm-to-table dining, give Clementine a try. 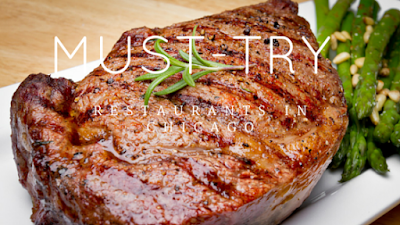 All of their produce comes from local farmers each morning and they cure their meats in-house. To get a little adventurous with your brunch, we suggest their Korean Hot Pot. It includes fried eggs, rice, pork belly and veggies doused in a sweet and spicy hot sauce. Another fun twist on a classic is their pan-seared duck hash with fig habanero sauce! You’ll also find plenty of brunch and breakfast mainstays like French toast and biscuits & gravy if you’d rather stick to classics. 2. The Corner Charcuterie Bar is much more than meat, cheese and crackers (but they have an amazing selection of meats and cheeses). Grab your colleagues and go on a culinary adventure with some of their unique menu items like kangaroo tartar, an escargot macaroni and cheese or sautéed frog legs. Not ready to dive in? You’ll still be able to find more traditional food items. 3. Peter’s Inn has one of the best always-changing seafood menus in town. Nestled in Fells Point just north of the water and east of the Inner Harbor, Peter’s Inn features seafood expertly paired with glazes and side dishes that let the freshness of the fish shine through. You might enjoy a nice piece of halibut with horseradish crème fraiche one day or a softshell crab dish the next. This place gets packed quickly, so plan ahead! 4. Baltimore has its own spin on the meats you’d normally find in a barbecue lineup. Chaps Pit Beef expertly cooks roast beef alongside barbecue meat mainstays like ribs and chicken over a large charcoal pit before they slice it thin and pile it high on a bun. You can douse your bounty in a homemade horseradish sauce for a rich and unforgettable meal. No other roast beef sandwich will be able to match up after you’ve had this one. 5. Visit Birroteca for some classic and modern takes on Italian cuisine. You’ll find mainstays like spaghetti and meatballs cooked to perfection with a huge selection of craft beer and cocktails available. Looking for something to share with friends? Try one of their artisan pizzas with unusual ingredients that just work; the Bianco has formaggi cheese, candied walnuts, sage and lemon thyme honey. It’s the perfect spot to relax with friends in a crowded but cozy dining area. Baltimore is full of unique and delectable food. Whether you’re visiting hot spots in the Inner Harbor or branching out a bit to find a hidden gem, you’re sure to enjoy a delicious and memorable experience. When the seminars and networking are finished for the day, where will you go eat in Baltimore this July? Let us know in the comments below!